CIROS, the China International Robot Show held last week in Shanghai had record crowds, record numbers of exhibitors, 168,000 sq ft of exhibition space, and exuded confidence in a thriving up-and-coming Chinese robotics industry. Many global robot makers took part in the show including Comau, Staubli, Yaskawa and Kawasaki, but domestic companies such as Shanghai STEP, Chaint Robotics and Jasic — and their new China Robot Industry Alliance (CRIA) — were present as well. CRIA held a presentation about progress in the domestic manufacture of robots including this chart showing that almost 60% of them are involved in non-automotive tasks, particularly handling operations. 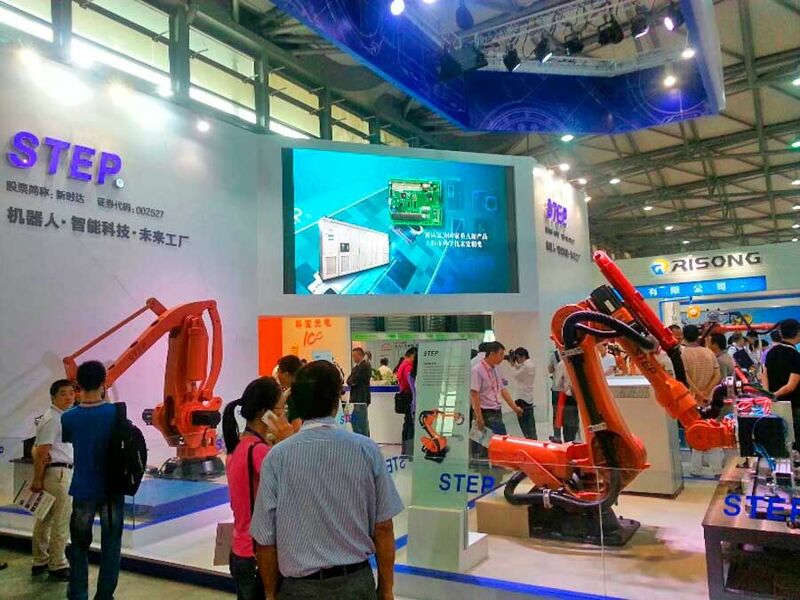 The exhibition portion of CIROS was mostly showing industrial robotics for the Chinese auto and electronics industries, although the exhibitors list was well rounded and there were some crowd-pleasing toy robots. The International Federation of Robotics (IFR) and CRIA hosted an Innovation and Entrepreneurship in Robotics and Automation Roundtable that was well attended, and there were two days of conference presentations including countries (Germany, Japan, Korea and Taiwan) offering cooperative alliances, and seminars on how to secure government investment. All photos and onsite reporting by Jason Lee, a 25-year robotics veteran and co-founder of integrator firm Shanghai Hi-Robot.